The VA recently hit a milestone of over 2 million appointments scheduled through the Veterans Choice Program. Despite getting off to a slow start, the Choice Program has grown significantly. The number of network providers has increased by 85 percent over the last 12 months, making now more than 350,000 providers and facilities in the Choice network. In addition, authorizations for care increased 103 percent from October 2015 through March 2016. While the Choice program still has quite a ways to go to realize its original designs, clear progress has been made. The VA’s Telehealth Services allow veterans access to healthcare via the phone and internet. Although the initial reaction of many veterans to Telehealth Services was skeptical, more positive feedback is being given as more telehealth hubs come online (including the most recent TelementalHealth hub) and people give them a try. Veterans report being pleasantly surprised by the quality of the technology used, the ability to have their concerns addressed by a physician, and the convenience of not having to travel long distances to receive care. 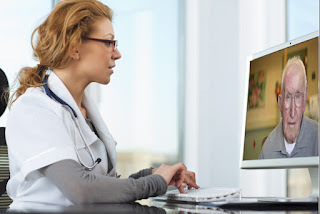 Telehealth Services offer several benefits, among which are convenient access to care for veterans in remote or rural locations and significant savings for the VA by making it possible for the VA to utilize specialists unavailable in the local area. Over 12,000 veterans have used the VA’s Telehealth Services so far this year. If you live in an area where you do not have convenient access to a VA facility and would like to know more about using Telehealth Services, please visit www.telehealth.va.gov/real-time/. These are just a couple of the positive changes at the VA. While they are an improvement, the VA recognizes that much more needs to be done and pledges to keep working to improve not only veterans’ access to care, but also the quality of care they receive.